Students and schools have done some amazing things with Chromebooks since we first launched in 2011. 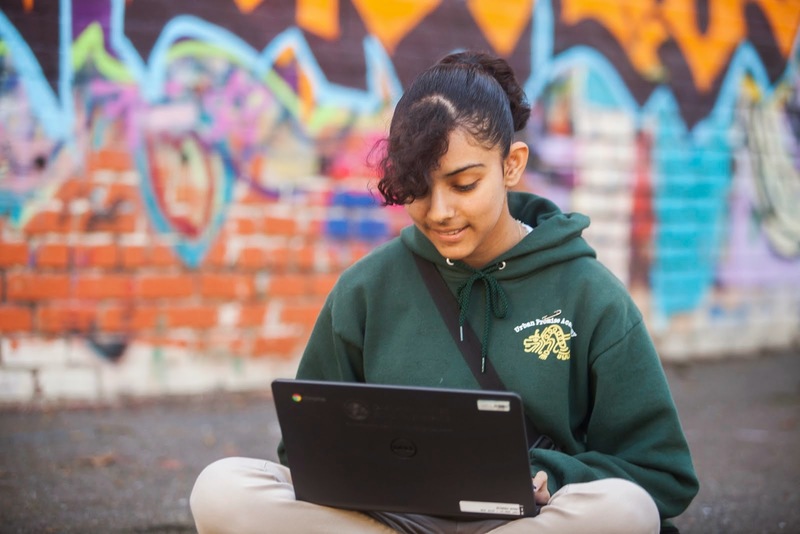 At the Urban Promise Academy in Oakland, Calif., students are using the Scratch program to create their own video games on Chromebooks. In Chesterfield County, Virginia, students get access to feedback and support from teachers after school hours using their Chromebooks. And in Fairfield County, South Carolina, schools saw double-digit gains on their state performance tests after they started to offer Chromebooks, Google Apps for Education and other technologies to their students, who often don’t have Internet access at home. Schools tell us that Chromebooks fill three big needs: they’re easy for students and teachers to use, they’re easy to share, and they’re easy to manage. That’s critical for schools that often want to give their students the best technology, but don’t have a large IT department to support it. And it’s part of what has made Chromebooks such a hit in schools. In fact, according to IDC’s latest report on tablets and laptops in K-12 education, Chromebooks are the best-selling device in the U.S. this year. And they’re continuing to grow in popularity—in districts like Montgomery County, MD (more than 50,000 devices), Charlotte-Mecklenberg, NC (32,000 devices) and Cherry Creek, CO (26,000 devices), who have all begun using Chromebooks in 2014. Beyond the U.S., countries are looking at how they can use technology in the classroom on a large scale—like in Malaysia, where the entire national school system is using Chromebooks. This week, we’re hosting the Global Education Symposium, a gathering of education ministers from 18 countries working to implement technology that will help them meet their country’s educational agenda. We’ll hear from education leaders who are exploring new educational models, and look at how innovative local schools are using technology to help teachers and students excel. It’s been thrilling to see how Chromebooks—alongside Android tablets, Google Play for Education, Classroom and Google Apps for Education, which is now used by 40 million students and teachers around the world—can help students meet their learning goals. We can’t wait to see what’s ahead as more students around the world gain access to new learning opportunities through technology.